If you&apos;re considering celebrating St. Patrick&apos;s Day, consider these Irish pubs that pay homage to the comfort food of the Emerald Isle. You can even enjoy dishes from boxtys to corned beef and cabbage and shepherd&apos;s pie all year long. 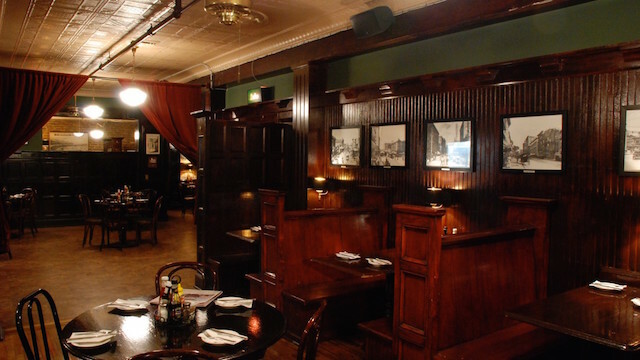 There are many reasons why we love Tom Bergin&apos;s, not only because their food is stellar, but there&apos;s a lot of history behind the bar and restaurant. This L.A. institution has been around since 1936 (though its ownership has changed hands over the years), and is credited for being the second bar in the nation to start serving Irish coffee. When you step into Tom Bergin&apos;s, the bar area makes you feel like you&apos;re at a comfy neighborhood pub, and the restaurant portion is cozy, with a fireplace. And as many Irish pubs go, you&apos;ll be sure to find shamrocks hanging around the joint. But most of all, the grub at this historic tavern is what keeps us coming back. They do Irish food really well, from their shepherd&apos;s pie to corned beef and cabbage and fish and chips. Save room for dessert because they have a special Irish coffee pot de crème with beignets combo. Drooling yet? Step downstairs from the busy Grand Avenue in downtown and you&apos;ll find yourself inside Casey&apos;s Irish Pub. This 10,000-square-foot bar is situated in a historical building, which was once home to a general store and Turkish bath house. 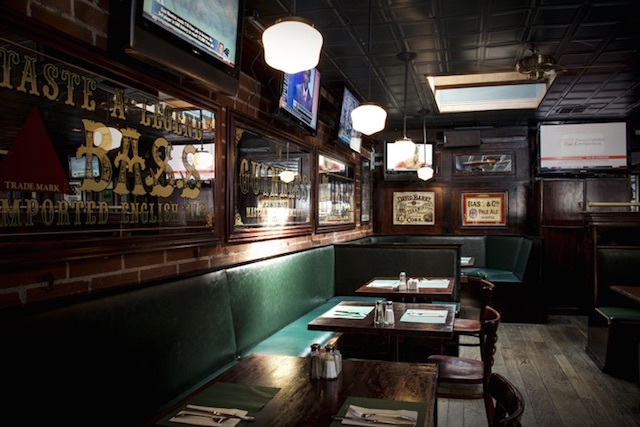 Inside, you&apos;ll find the makings of an Irish pub, complete with wood paneling, wooden booths, old black-and-white framed photographs and green accent walls. 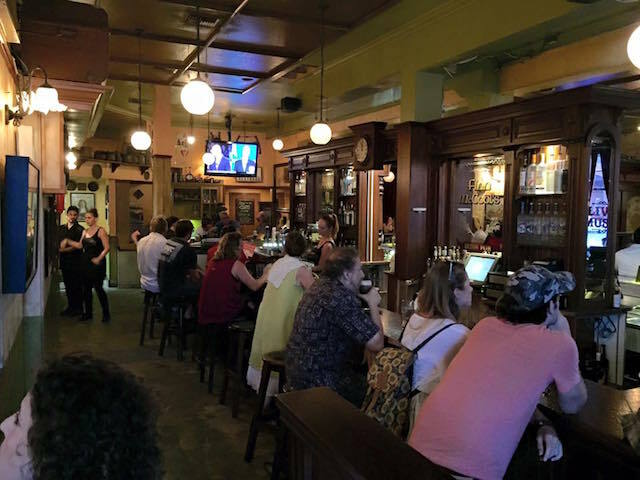 The pub, which is owned by the hip 213 Hospitality group (Cole&apos;s, Seven Grand, Fritzi), has your typical bar food, but also an Irish menu featuring items like corned beef and cabbage, fish and chips and Reuben sandwiches. They also really seem to like adding Guinness into a lot of their dishes, so you&apos;ll also find on the menu items like Guinness stew or Guinness stout burger. You can even get the Cole&apos;s special French dip sandwiches here, too. And to wash all that hearty food down, Casey&apos;s has a pretty long list of whiskeys and beer. After you&apos;ve finished eating, you can entertain yourself with a game of ping pong, darts or pool, or catch a sports game on their many TVs. On certain nights they have trivia night and live bands, and they host a massive St. Patrick&apos;s Day street party every year. We appreciate it when we go to an Irish pub and find a boxty (potato pancake) or two on the menu. At Griffins of Kinsale, they offer one in the smoked salmon variety and it&apos;s accompanied by sour cream and chives. 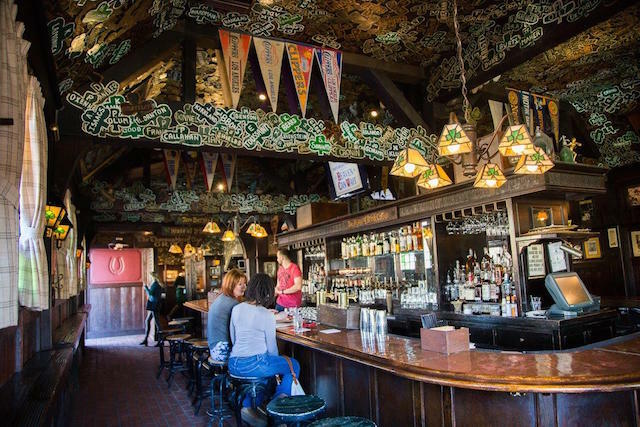 This South Pasadena pub with a tin-tile ceiling also whips up Irish comfort food like lamb stew and shepherd&apos;s pie, and even melds American and Irish culture together with their cabbage dog (for the non-purists who like some fusion). 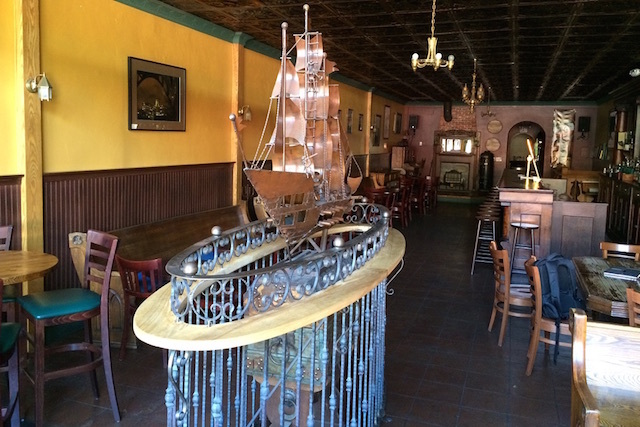 Expect live traditional Irish music performances at this joint, which has a large model ship as the centerpiece of the room that pays homage to the owners&apos; great grandfather who sailed from Kinsale in Ireland to Montreal in 1890. O&apos;Brien&apos;s is a charming neighborhood pub on the Westside where you can feel comfortable having a long chat with the friendly owner or bartenders at the bar. All day long you can order an Irish Breakfast, which comes with Galtee sausages, bacon, eggs and black and white pudding. They also have your regular Irish pub fare like shepherd&apos;s pie, and make their BLT with Irish Bacon. It&apos;s the type of place where you can get a pint of Harp or Smithwicks, watch a football game (they rally for the NY Giants), and play some pub trivia. On Sundays, they have traditional Irish music sessions to go along with their beer and burgers deals. Finn McCool&apos;s may just so happen to be the landing pad after a drunken night out on the Westside, but there&apos;s a lot more to the place than just getting hammered. When you walk into Finn, the pub might just so happen to look like an authentic Irish bar because it really is. The bar was apparently dismantled from Ireland and shipped over to Santa Monica, where it was reassembled. As for drinks, they&apos;re serious about their whiskeys—you can find over 200 kinds and even ask for a flight to sample a few. They also have several types of boxtys to choose from, including curried vegetable, seafood, and chicken and basil. Interested in some tunes? They&apos;ve got some live acts ranging from traditional Irish music to up and coming singer-songwriter types. 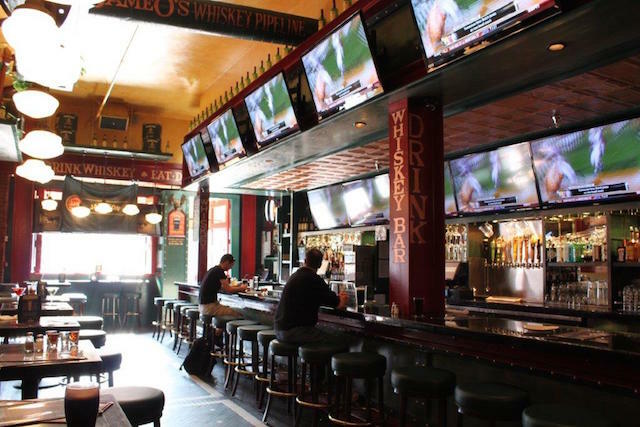 When you need a breather from the hustle and bustle of the touristy Hollywood Boulevard, you can slip away, grab a stool by the bar at Jameson&apos;s Irish Pub and order a hefty meal. This Irish pub is known for serving Jameson, of course, and also having an insane happy hour deal (two-for-one drinks!) Mondays through Fridays from 12 p.m. to 8 p.m. However, they also have some surprisingly decent bar food (for being a divey pub) to go along with your pint of frothy Guinness. They&apos;ve got some Irish staples on their menu like beef and cabbage stew, bangers and mash and fish and chips. Their big focus, though, is on their prime rib, which they serve in many different forms (our favorite is the Dublin Dip Sandwich). You&apos;ll find vintage Guinness posters hanging on the brick walls of this joint, friendly bartenders, loud rock music blasting and heavy pours on their drinks at this Americanized Irish pub. Timmy Nolan&apos;s in the Valley is one of those Irish bars that pay homage to its roots. Every Tuesday they have live traditional Irish music performances so you can get your fill of Celtic tunes. As for the feel for the place, their brick walls are lined with posters of bands like The Pogues and Guinness signs, and the ceiling with ornate metal tiles. While they have plenty of pub food, some Irish specials you can get include Irish beef stew in a sourdough bowl and corn beef and cabbage. You can get Guinness here on tap as well as over 20 other brews. 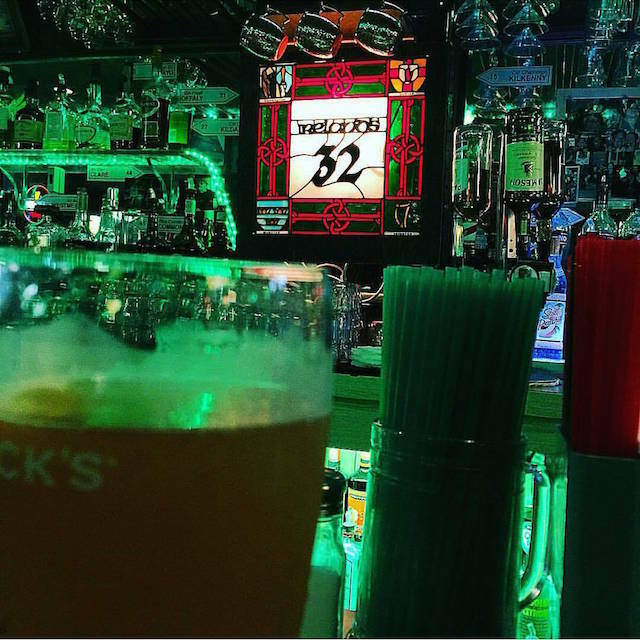 Ireland&apos;s 32 is a classic Irish pub out in the Valley, and we love that its name is a nod to the 32 counties of the emerald isle. 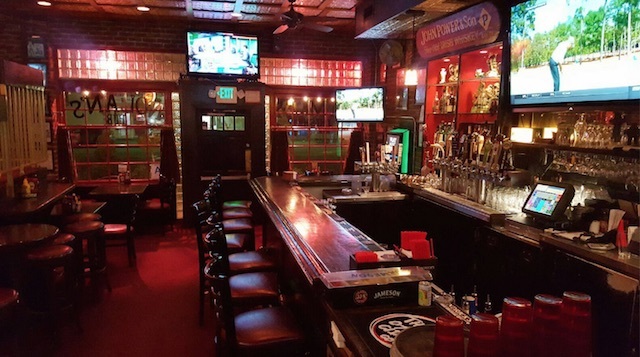 The dive bar has been open for over 40 years, and makes music the main focus of its entertainment; though instead of traditional Celtic tunes, expect weekly karaoke and live music sessions of the singer-songwriter and acoustic variety. They sling dishes like corned beef sandwiches and a full Irish breakfast with all the fixins, which include black and white pudding, Heinz beans, grilled tomato, eggs, bacon and sausage. We can certainly get behind a meal like that. The Irish Times is like the Irish version of Cheers. The bartenders are friendly, and whenever we go, we leave the spot with a happy experience, whether it be the karaoke or live music nights. You can get a frothy Guinness on tap, and order some Guinness shrimp or corned beef sandwich for decent prices. The food menu&apos;s not huge, but they focus on the Irish basics.